Skintech Facials – Although there are many standalone facial treatments available, often a combination will provide the very best results. Whether it is looking at skin rejuvenation, pigmentation, ageing, oily skin, acne or preventative treatments, a uniquely tailored facial using the right technology will ensure the results are right for you. 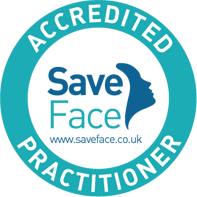 Although the facial treatment is specific for each client, it will often include a combination of rotational microdermabrasion, mesotherapy, radiofrequency skin tightening and full canopy LED light therapy to look good and feel better. Prior to treatment, often a light box skin analysis will be performed to assess problem areas to ensure the best treatment combination is used. Following treatment, application of specific scientifically proven cosmoceuticals will enhance the effects. 3D Skintech is an advanced and complete facial rejuvenation treatment package. Rotational Diamond Peel – Microdermabrasion Diamond peel microdermabrasion contains no crystals and leaves no residue on the skin. It is an advanced non-invasive exfoliating procedure, removing the outer layer of dead skin cells which are taken away by vacuum suction. Congestion and blackheads are drawn out during the procedure and it also improves the blood supply and oxygenation of the skin and stimulates new collagen and elastin production. It is ideal for helping with fine lines and wrinkles, ageing skin, pigmentation, uneven skin tone and removing blemishes and age spots. 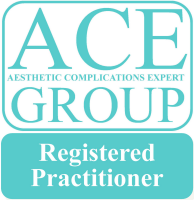 Radiofrequency – The latest generation of focused fractional RF targets collagen causing a contraction of the fibres and an immediate skin tightening and lifting effect. It also stimulates the synthesis of new collagen and elastin which gives a further tightening effect over time and successive treatments. Radiofrequency can target unwanted fat to improve the jowls and create a smoother, younger looking skin. Mesotherapy – No needle electromesotherapy allows active cosmeceutical ingredients to be absorbed by the skin and enter the cells directly, to nourish and target specific skin problems, tailored to individual requirements. Active ingredients can increase hydration, lighten the skin and deliver anti-ageing products that can also promote collagen and elastin production. LED – LED is a non-invasive light therapy that stimulates the skins natural repair process and can improve mental wellbeing. The energy, wavelength, temperature and density can be controlled to help stimulate or minimise various metabolic functions of the skin. Red light is used to promote collagen synthesis, lift and tone the skin. Yellow light is used for calming the skin and boosting natural immunity. Blue light is good for killing the bacteria that cause acne and green light reduces pigmentation and aids skin regeneration. Full canopy LED treatment ensures a fast and effective treatment. The treatment is non-invasive and very safe. It does not damage or scar the skin in any way. The procedure is virtually pain free although there may be some mild discomfort or stinging with the diamond peel microdermabrasion. The radiofrequency treatment may cause some warmth but should not be unpleasant. Dead skin cells are removed by a vacuum device and discarded after treatment to prevent the risk of any cross-contamination. Following treatment, the skin will often feel much cleaner, fresher and firmer. It is usual to get a slightly reddened complexion immediately after treatment, similar to if you have just been for a walk in a brisk wind and this may last for a couple of days. The skin may feel a little warm and there may be a tingling sensation, this will settle quickly. Although rare, there may be some swelling after the procedure, particularly around the eyes, this may take a couple of days to settle. Treatment usually takes about 45 minutes and you may notice some instant results. The skin will often feel smoother, firmer and there may be a subtle tightening effect. Although the face may initially feel a little warm and red, this usually settles quickly. A single treatment will often give a healthy glow and is ideal to have the day before a party or special occasion although a course of 4-6 treatments will give better results for problem areas such as fine lines and skin rejuvenation. We strongly recommend the use of a good moisturiser and sun-block for a few days after the treatment and preferably starting on a science based medical cosmeceutical range to further improve the skin. Following your 3D Skintech treatment you may experience some redness on the treated areas accompanied by a warm glow. This will last for several hours but should have settled within 24-48 hours. Radiofrequency may give an initial lifting effect, but this may be temporary.